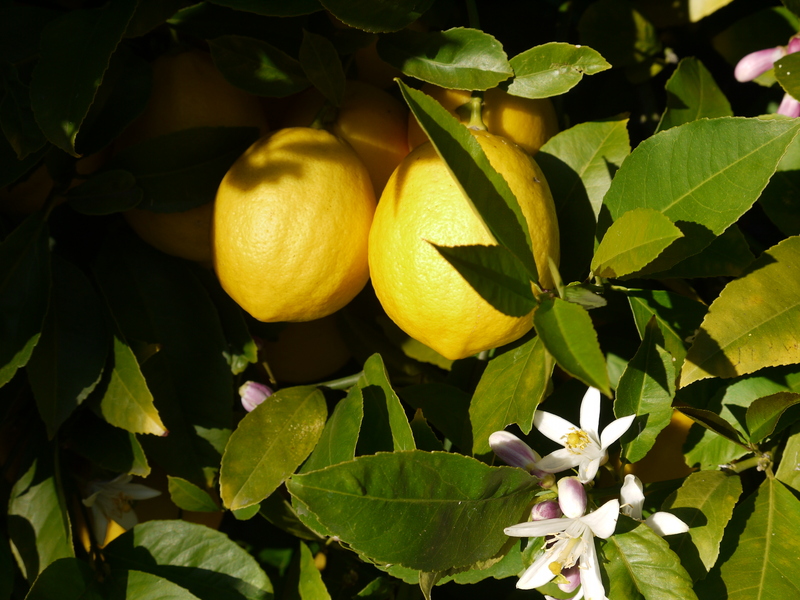 There is a prolific lemon tree in my garden that fruits and flowers year-round. 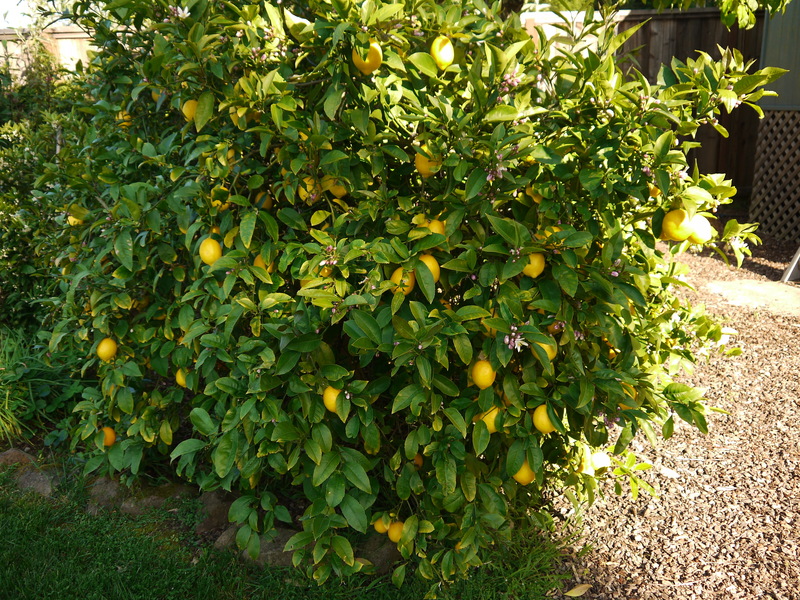 The lemons are Meyers, a cross between a traditional lemon and an orange, making for super juicy, sweet-tart fruit. 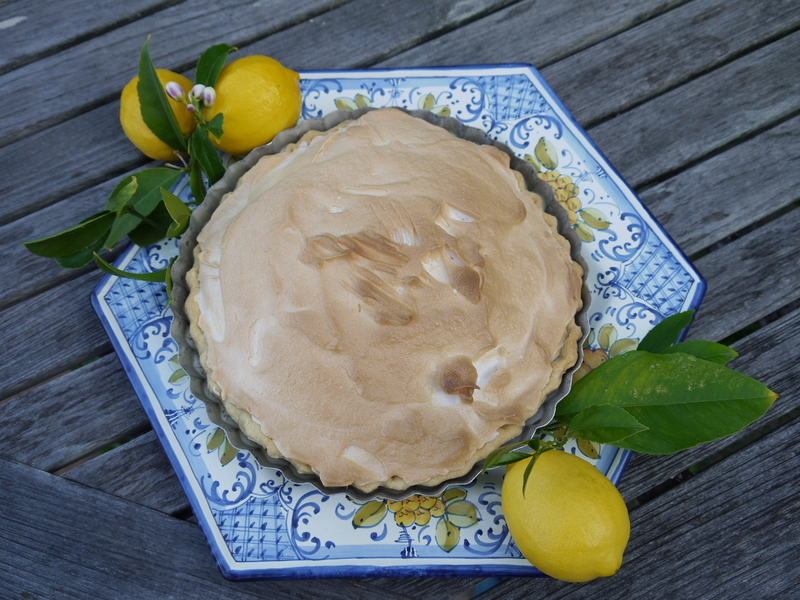 My beloved decided to make a lemon meringue pie for dinner tonight, it being Easter and springtime. My go-to recipe for lemon pie filling was handed down to me from Auntie Irene, a somewhat persnickety “aunt” by friendship who was a whiz at baking. Her cookies were delicate of crumb and rich with butter, her cakes were light as a feather and her lemon meringue pie was famous throughout Montclair, New Jersey, her hometown. The recipe really delivered, the pie came out beautifully. Here’s it is for you to try at home. 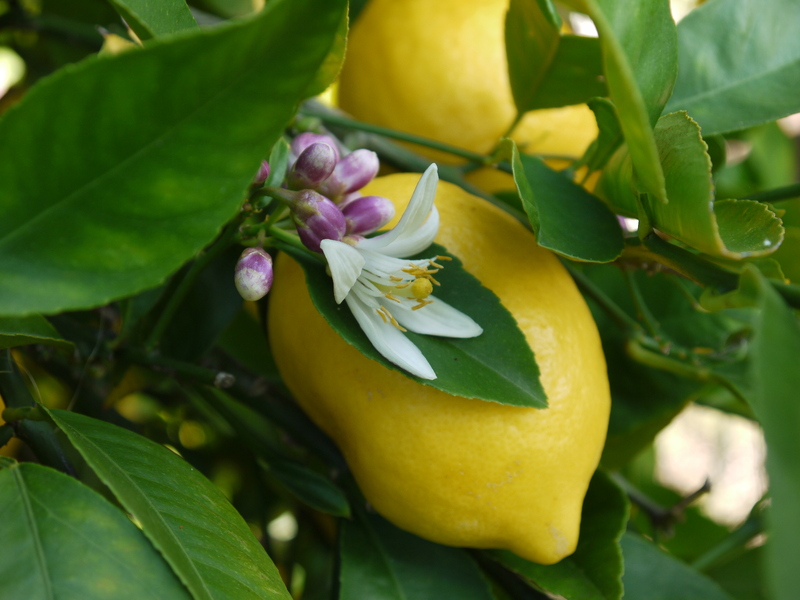 If you can’t find Meyer lemons, traditional lemons work just fine. After all, that is what Auntie Irene always used. Spread in between thin shortbread cookies or use as a cake or pie filling. 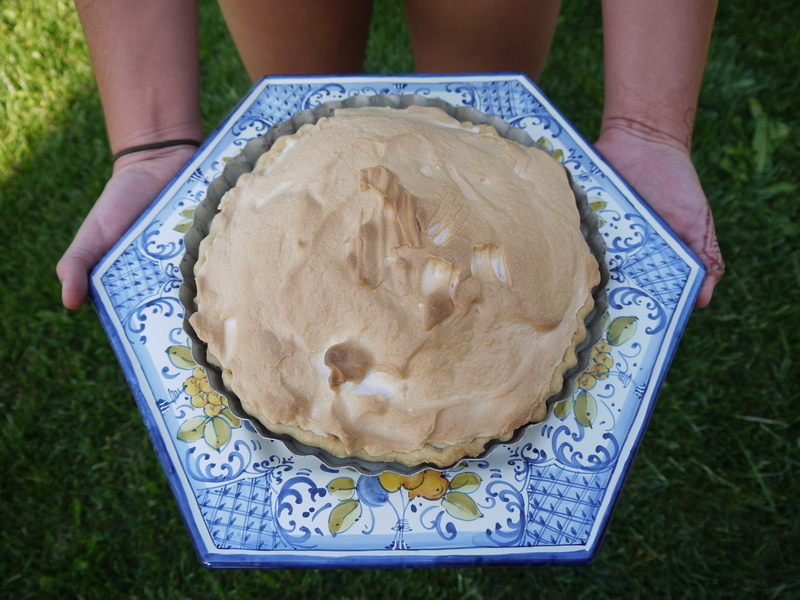 It’s a natural for lemon meringue pie; use the egg whites left from this recipe for the meringue. Measure first 5 ingredients into the top of a double boiler. Add egg yolks one at a time, mixing well after each addition. Gradually add boiling water while whisking. Cook over simmering water for 15 minutes whisking constantly until filling has thickened to the consistency of runny pudding. Remove from heat. Mix in 2 tablespoons butter. It will thicken further while cooling. Cover surface of lemon filling with plastic wrap so a skin doesn’t form. 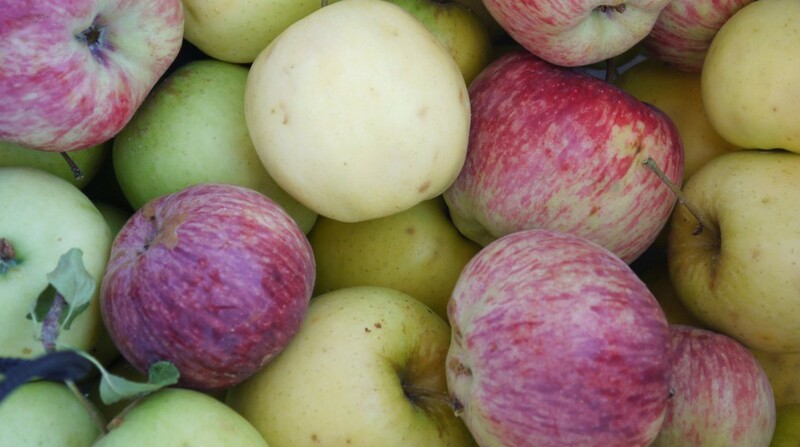 If using for pie, pour into a pre-baked, cooled pie shell. Allow filling to cool slightly, then cover with meringue and bake in a 350 oven until meringue topping is a golden brown, about 10-15 minutes. My heart skipped a beat seeing that lemon tree!!!! 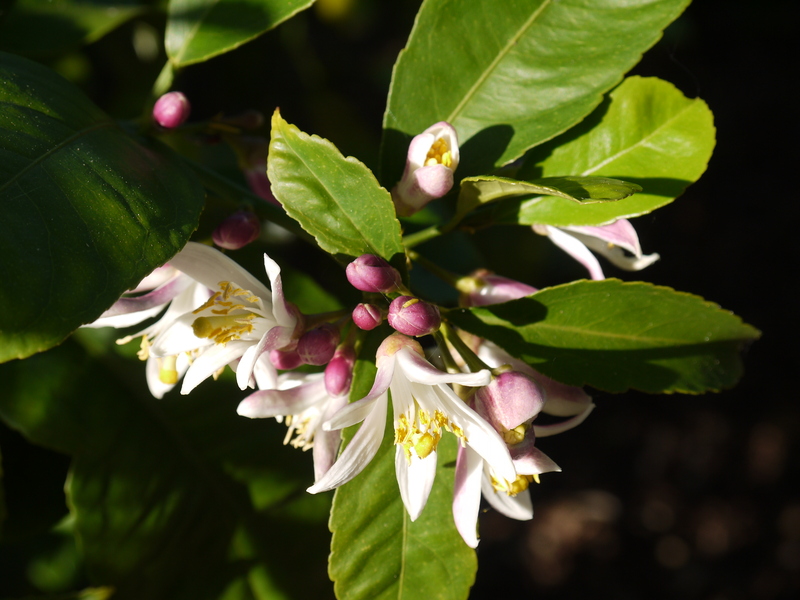 I love lemons as I have posted on my blog. I will try your Aunt’s pie soon. I make a Lemon Chess pie all the time as I am not a huge fan of meringue but my family is! !